. يعمل فندق نوفوتيل سيدني مانلي باسيفيك على ضمان إقامة مريحة لضيوفه من خلال خدماته الممتازة وحسن ضيافته. يقدم هذا الفندق العديد من الخدمات الكفيلة بإرضاء أكثر الضيوف تطلباً. لقد جهزت هذه الإقامة الفندقية بعناية فائقة لتوفر مستوى عالي من الراحة. في بعض الغرف يجد النزيل تلفزيون بشاشة مسطحة, حمام إضافي, سجاد, صوفا, غرفة معيشة منفصلة. يقدم الفندق العديد من الفرص للاستجمام كمثل حوض استحمام ساخن, مركز للياقة البدنية, ساونا, حمام سباحة خارجي, سبا. مهما كانت دواعي سفرك فإن فندق نوفوتيل سيدني مانلي باسيفيك هو خيار ممتاز لإقامتك في سيدني. The place needs a good clean and doing up. Worn carpet, dings in wall, spills in halls not cleaned up. The restaurant needs a complete clean, smoke stains on wall and ceiling. Food is below average for a hotel in its price range. I would not serve the omelet at home that was served to us. Coffee was cold, croissants over baked, supermarket fruit juice, totally disorganized. Not even a "Do not Disturb" sign hence hotel staff wanting to access the room at inappropriate times etc. Selection of drinks in bar very poor Tooheys or a couple of craft beers no others. The staff were not well trained, did not explain anything, had to ask three times where the car park was before they explained where the basement was. Pull it down, rebuild and new staff would be the best solution. Do not stay there. The only problem we had with the room was that apart from having blackout curtains, there was no privacy curtain which meant that we had to keep the curtains closed as we could see into opposite windows so they would be able to see into our room. We did notice that a few of the Windows opposite did have a privacy curtain. We paid extra and had an ocean room on the 7th floor and was beautiful to wake up to and see the ocean. We had 2 Queen beds and very comfortable. Bathroom is very outdated, and needs attention. It has a shower in the bath and you need to step into the bath. I am fit but was very cautious of this but no good for my 72 year old travelling companion. I felt it was very overpriced considering. The staff were great but had to wait for the afternoon to get our room serviced for the 3 nights we where there. We were just there for one night but location is awesome, right across the beach and just around the corner from the Corso. Rooms are nice & clean and a good size. Beds super comfortable. Friendly and informative staff. I would definitely stay again! Manly Beach is spectacular. The Novotel is perfectly located, and the staff are fantastic. Only half of the hotel is updated, so request courtyard rooms if possible. The pool is tiny so not great for older kids. Restaurants and bars attached are average but there are plenty of fabulous places within a short walk. This was a wedding present for my niece. They enjoyed the night, had a lovely beach view. Fortunately were able to have a room service breakfast as they had forgotten their post wedding clothes!!!! Right across the street from the awesome Manly Beach. Beach towels always available in lobby. Only a few blocks walk from many restaurants and bars. Ocean side rooms have very good view of the ocean! Wish I would have stayed here my first time in Manly! 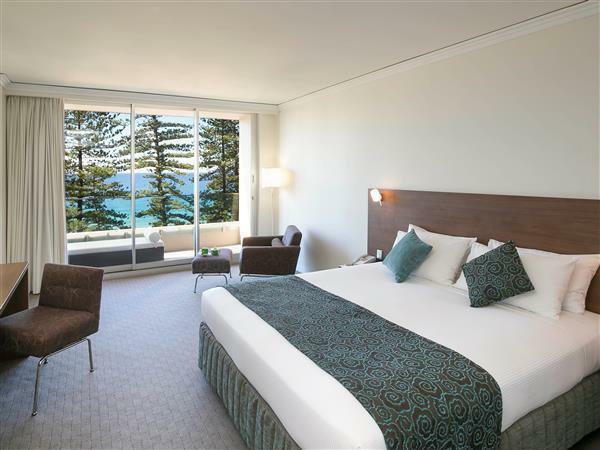 Hotel is in a prime location, great nice views from ocean view rooms. Only drawback is on Friday and Saturday nights there is live music in the bar downstairs and the noise was unbearably loud if staying on a lower floor, and does not finish until past midnight. The hotel staff were helpful however and moved us to a room on a higher level to escape the noise, and included a free breakfast. The hotel is family orientated, in a great location and offers parking. Some of the rooms have been refurbished, others are dated and are over priced for what they are. We would stay here again but would make sure we got one of the larger refurbished rooms. Staff were very friendly and eager to accomodate all our requests. Parking was easy. The location is great. Relaxed after completing the charity event- The Bloody Long Walk. Staff had arranged our parking, organised for our luggage to be in our room and even had a bottle of wine chilling on our return. The staff could not have been more friendly or accomodating. Comfortable room with all we required. Maybe just need an update of the pool and spa area. We used this to relax after the walk and found it not to the standard of the rest of the hotel. Breakfast was included in the rate and was a buffet with a lovely selection of hot and cold fare. advertised as 2 Queen beds. Only double - a little disappointing on that count. Simply awesome location with easy access to beach and shops. Enjoyable Japenese restaurant. Nice staff. Bathroom a little tired, but a great sized room - very comfortable. After paying over $300 for one night to pay parking fees of $22 was an insult. They took Credit Card details for a holding fee of $50 in case we ate or drank from the mini bar & even though we didn't they debited me anyway. I noticed the charge of $50.75 on my account. When I called them they assured me it wasn't charged - I then assured them it was & asked them to credit my account immediately. I will follow up tomorrow. Perfect catch up with friends, we used to live in Manly/ harbord so we visited our old places we loved to go and showed our children where we first met! Great walks along the foreshore to Shelley beach, ice cream at the harbour. Had a tremendous visit to Manly. Staff were very accommodating, all staff members were extremely polite, happy and helpful. I do find having to pay for parking the car at the hotel when one is a guest odd, but there is really no alternative than to park in their car park. The bed was comfortable, the room clean, all facilities worked. Very enjoyable, if anything it needs a little updating at main lobby. The room was very comfortable, I truly enjoyed my experience. Staff was friendly and nothing seem to be a problem, they were always smiling! 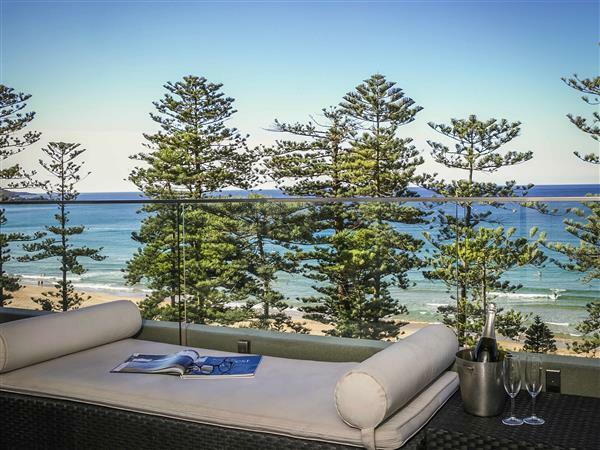 Great location, close to everything that Manly had to offer. Just walk out the front door straight onto the street to see the beach and find wonderful restaurants, shops, bars and a weekend market right on the doorstep. 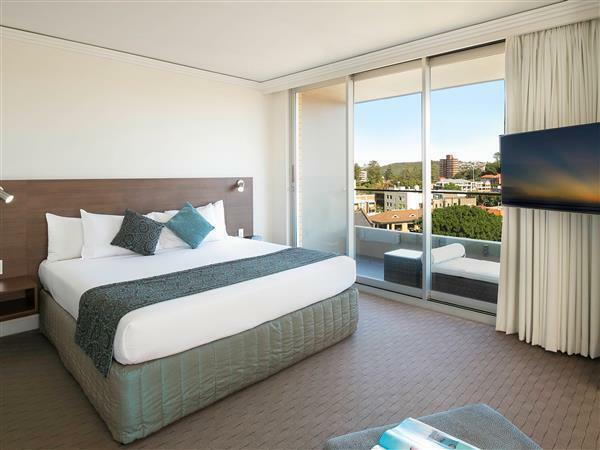 Being located so close to the ferry meant easy access to the Sydney CBD as well. 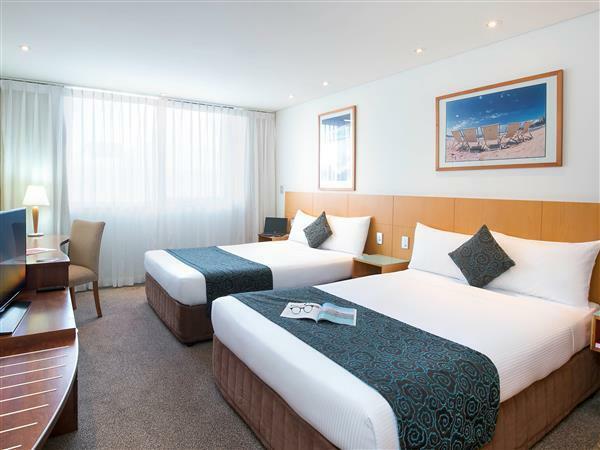 The staff were also very helpful and friendly and the rooms are very comfortable.